It features the soft white background and iconic gray and gold swirls and veins that highlight the beauty of natural marble. Bianco Dolomite Geometrica 12x12 inches Polished Pattern Mosaic tiles feature the soft white background and iconic gray and gold swirls and veins that highlight the beauty of natural marble. Mesh-backed for easy installation, these beautiful tiles have a smooth finish. 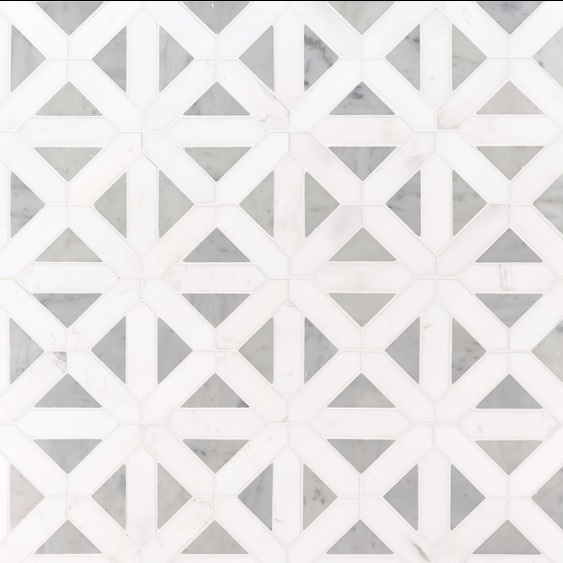 These tiles are recommended for floors, accent walls, backsplashes and other design features.